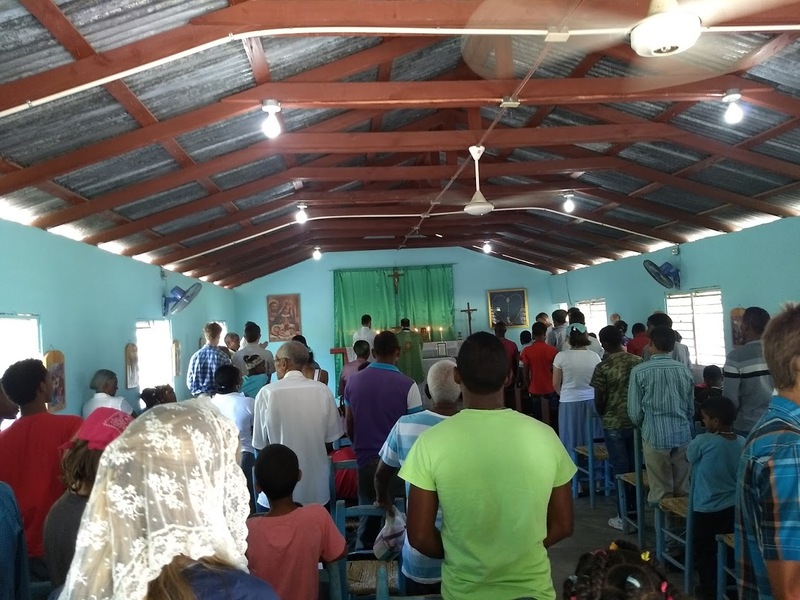 The Priestly Fraternity of St. Peter’s Mission Trip to the Dominican Republic this summer provided the missionaries who went with what can be considered an authentic taste of Catholic missionary life. Man is a being of invaluable dignity created in the image and likeness of God and is composed of both body and soul. Catholic missionary activity should therefore recognize man’s bodily and spiritual needs. This missionary trip strove to provide missionaries who came from all parts of the United States (and some even from Canada and England) with the opportunity to serve people of the Dominican Republic in this capacity. We brought them clothes, we helped build cement floors for a number of families, we even dug a latrine for a school in a small village. All of these works, however, were secondary to the work of spreading the Gospel to these people and making the sacraments available to them. It became quite clear to me that the physical poverty of these people was only part of the problems they face, and that if we were to give these people help in a lasting, eternal way, we needed to help teach them the Faith and how to live in accordance with it. This is what made the experience of the St. Francis Xavier Mission Trip so valuable. It allowed us to go and help with the various corporal works of mercy but always with the backdrop of strengthening the faith of the people there, whether that meant passing out rosaries and scapulars or taking time to explain the riches of the Faith, in whatever way we could. Most of all, we would make the Extraordinary Form of the Mass available to them. The reverence and beauty of this form of the Mass speaks for itself and helps show the profound significance of what goes on at the altar. The climax of our experience was perhaps the Feast of the Assumption. The pastor of the parish we visited, with the help of the FSSP priests and seminarians, celebrated his first Solemn High Mass in a very simple chapel in a remote village. Before the Mass twelve children, some of them already five or six years old, were baptized. As cliché as it sounds, this mission trip helps the missionaries who go just as much as the people they go to serve. It is important for youth in the United States to experience helping people who live in an impoverished society. American culture tends to stress individual ambition and success, oftentimes to the exclusion of looking beyond one’s focus. Not only does this trip give young adults the opportunity to perform the works of mercy for the needy, but it gives the opportunity to do so with other like-minded young adults and so form friendships founded in such charitable works. This is also always with the backdrop of the faith and sacraments that they are encouraged to engage more fully as they experience the struggles of mission work. Such things are essential for any vocation they go on to follow when they return to their lives. We had just finished building a house on the outskirts of Piura, a city of about 375,000 people in the northern coastal region of Peru. I say house, but in reality it was little more than a shelter. Under the direction of a local volunteer I and a handful of other young Americans had spent about six hours wiring together bamboo and reed mats and digging holes in the sand to anchor the walls. The corrugated tin roof and plywood interior walls completed what is now home to a family of four. This small family was just one among thousands that had been forced to leave their home due to the severe flooding that afflict the area. According to Martín, the construction director, their little shelter might last for as many as eight years if well taken care of. There were a few chapas (narrow strips of bamboo used to make supporting splints for the walls and roof), left over from the building process and I decided to wire two of them together, making a cross for the family we were helping. As I did so, four or five children from the “neighborhood” came round, all wanting to help, and hoping maybe to get some candy which the missionaries often bring with them. Seeing an opportunity for some catechesis I held up the cross and asked “Do you know what this is?” Blank stares. Thinking they just needed some encouragement, I continued in my halting Spanish, “Well it is a cross. Do you know why it is important? What it means?” One of the more bold children spoke up: “Something having to do with God?” he ventured in a questioning tone of voice, as the others looked doubtfully at each other. Shocked at this ignorance, I continued with other simple questions. Do you know who Jesus is? Who Mary is? They did not know. Suddenly I was struck with this simple fact. The Gospel has not been preached to the ends of the earth! The chances are high that those children were baptized (Peru is 98% Catholic), but they have never been taught even the rudiments of their faith. During our twelve day stay in Peru, I and forty-seven fellow missionaries had many opportunities to spread the love and truth of Christ. Due to the incredible work of Fr. Joe at Santísimo Sacramento Parish in Piura we participated in many and varied works of Charity, including visiting La Vida Nueva drug rehab center, distributing food and clothing, teaching catechism and playing games at Hogar de la Madre girls boarding school, bringing Extreme Unction to the sick and dying in their homes, the hospital, and the hospice, hand-clearing fields in order to plant beans, and many other such works run by Fr. Joe and his excellent team at Santísimo. In reality, our mission was only in part to assist the people of Peru in their temporal difficulties. Ultimately this work was ordered to the salvations of souls, as my experience with the chapas-cross taught me. The greatest gift the mission brought was what our two chaplains did every day. They brought the Holy Mass in the Traditional Form, the greatest catechism we have, to dozens and some days hundreds of people. The greatest reward, like the greatest work, is not that we know that these people are now clothed and housed anew, but that we in some small way were able to fortify them anew to live the faith and save their souls. “Unless the Lord build the house, they labor in vain that build it”(Ps. 125:1). 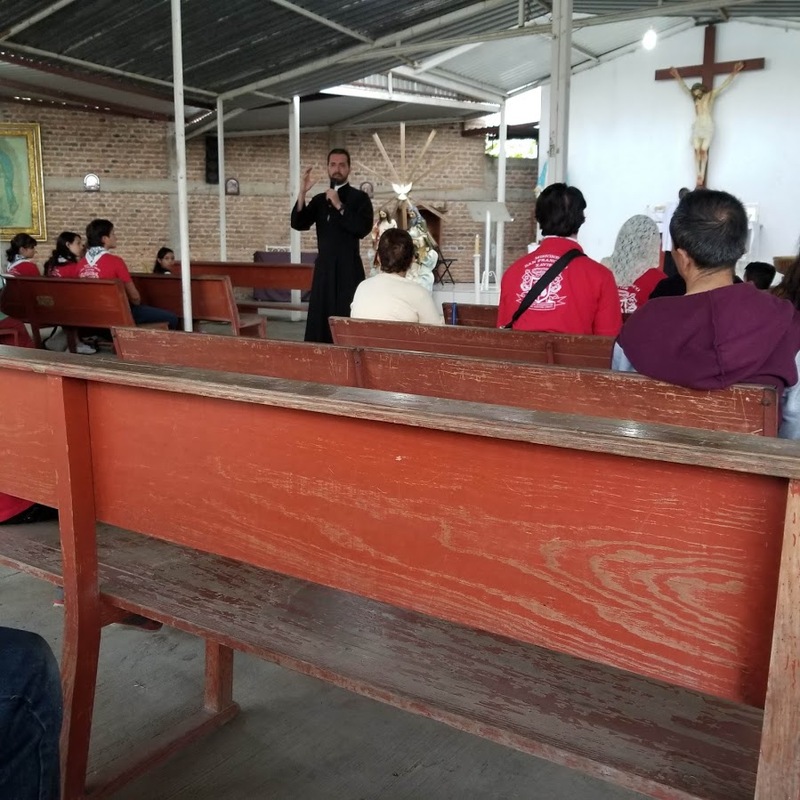 At the of July a group of 47 Catholic missionaries embarked upon a mission in the town of Tonalá, a municipality of Guadalajara. The group was made up of Americans and Mexicans, seminarians and lay people. Each morning the missionaries would divide in to groups and canvass the town, knocking on doors and inviting people to talk about the faith. The missionaries encountered various types of Protestants and people who belong to the bizarre sect La Luz del Mundo and also various shades of non-believers. What they most often encountered, however, were Catholics who had drifted away from the faith. Often the cause was an irregular “marriage.” Other times it was laziness or ignorance. In Mexico, as in many parts of Latin America, Protestantism is on the rise. Jehovah´s Witness and other groups go door to door, and sadly Catholics all too often remain complacent. Many people, therefore, are losing the faith. The participants in the Saint Francis Xavier Mission Trip were eager to do their small part to counteract this troubling phenomenon. The St. Francis Xavier Mission Trip, is blessed to have, as a powerful tool for evangelization, something that very few missionaries possess these days: the Traditional Latin Mass. 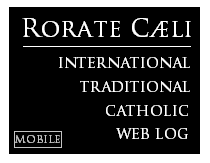 By and large, the missionary impulse of these zealous Catholics is the result of having fallen in love with the timeless beauty of the Catholic Faith as manifested so clearly in her traditional liturgy. 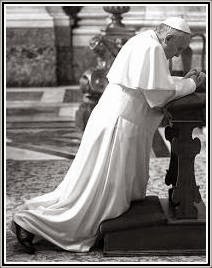 These home visits, then, were not just opportunities to chat, they were invitations a new encounter with Christ through the Holy Sacrifice of the Mass, which was celebrated in the traditional form each evening and was proceeded by the praying of the rosary and a catechesis on the Mass. The profound impact was notable for many. This mission experience also served as a sort of “final exam” for the seminarians who had spent the previous eight weeks studying Spanish in the Saint Junipero Serra Institute at Casa Cristo Rey. It was an exciting opportunity for them to be able to put in practice what they had been learning and in that way see some of the fruit of their labor. Please visit our website: www.sfxmission.com or follow us on Facebook at St. Francis Xavier Mission.